A bridge collapse in Paoli, Ind. PAOLI, Ind. -- A historic bridge collapsed in the small town of Paoli, just south of Indianapolis, on Friday while a semi-truck was crossing. The bridge was more than a century old. 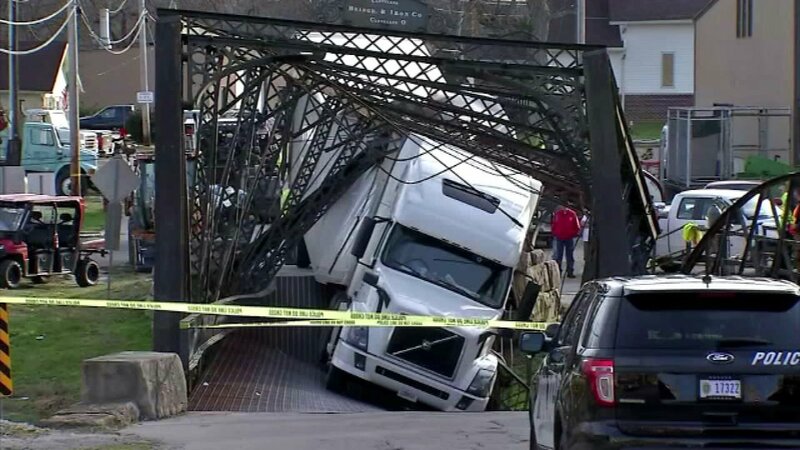 The truck was nearly six times over the bridge's weight limit. Emergency crews spent most of Christmas Day cleaning up the collapse. People in Paoli hope to rebuild the historic bridge.